We’re just about done with our New Sorbettos! All that’s left is to hem version 1 and version 3 and assemble and attach the hem facing to version 2. By the end of this lesson, you’ll have a finished Sorbetto! 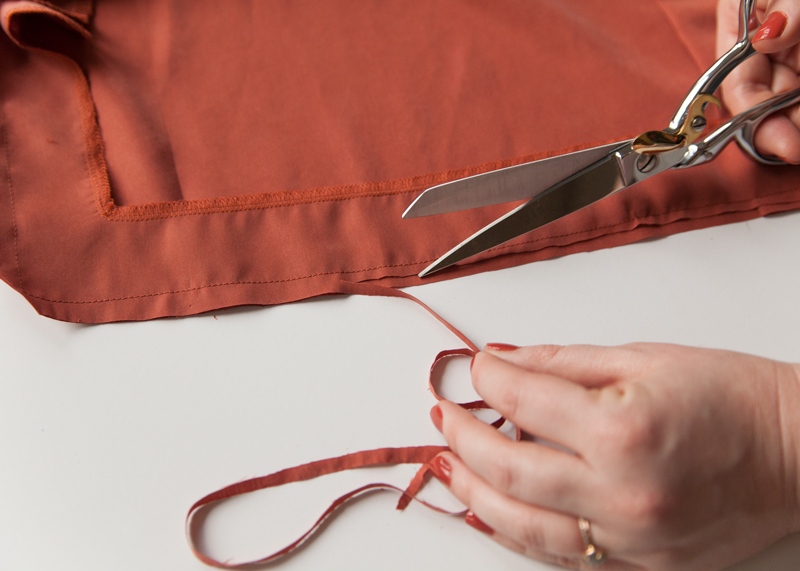 1) Fold the hem to the wrong side at 1/4”. Press. 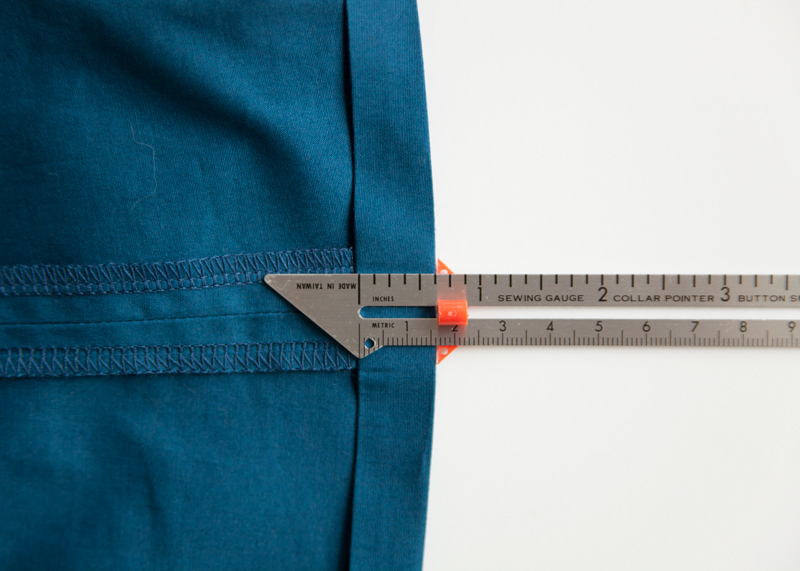 2) Fold the hem to the wrong side once more at 5/8”. Press. 3) Edgestitch along the top fold line. Press. 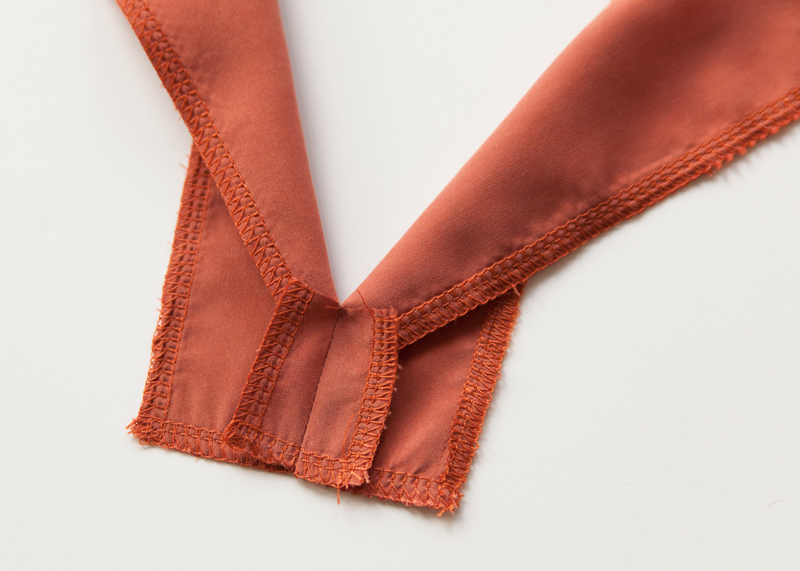 1) Finish the inner raw edges of the front hem facing and back hem facing using a zigzag stitch or serger. I chose to finish all the raw edges of my facing to keep my fabric from fraying while working with it. 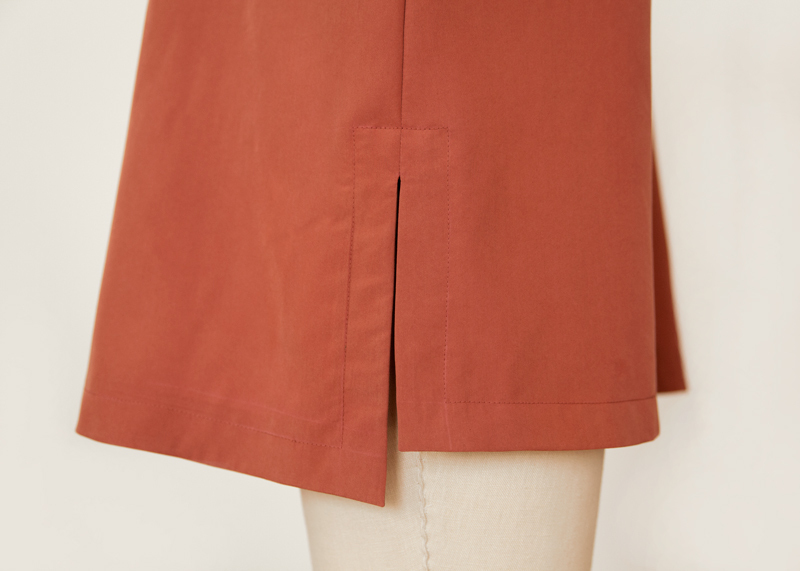 2) With right sides together, match the front hem facing to the back hem facing at one side seam. 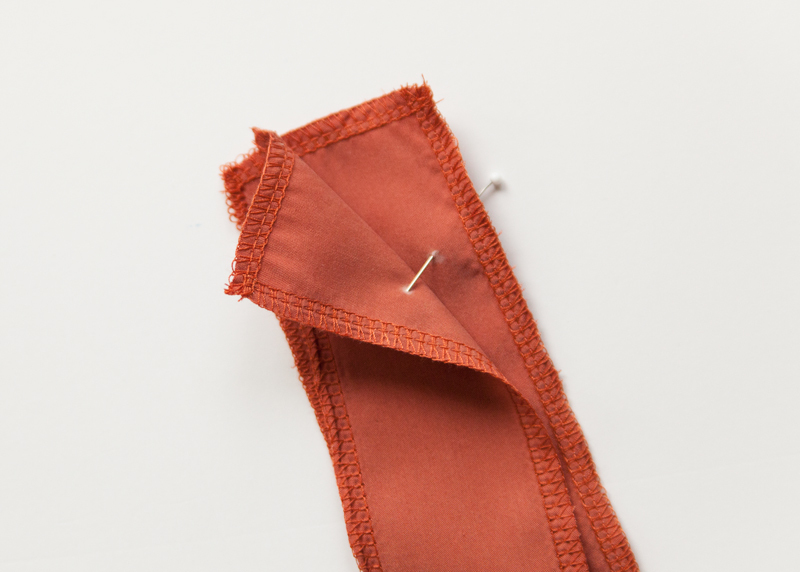 Pin from the circle up the side seam. 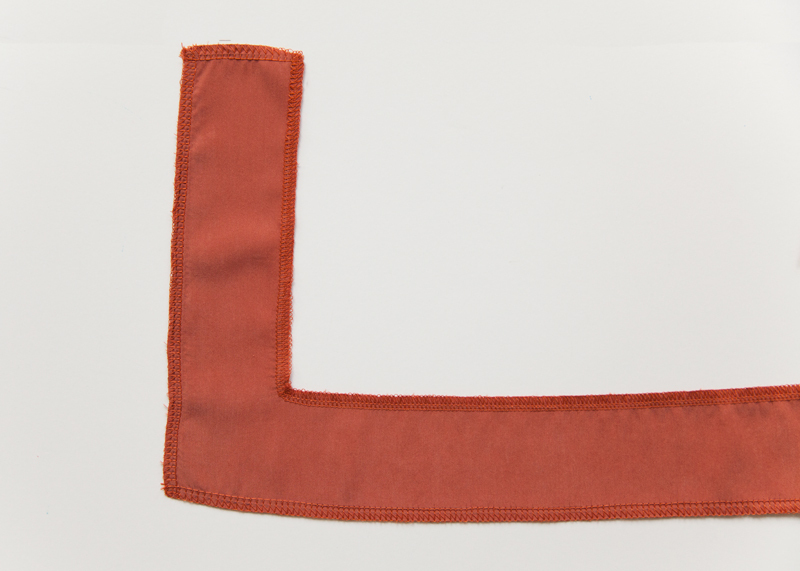 3) Stitch from the circle up the side seam. 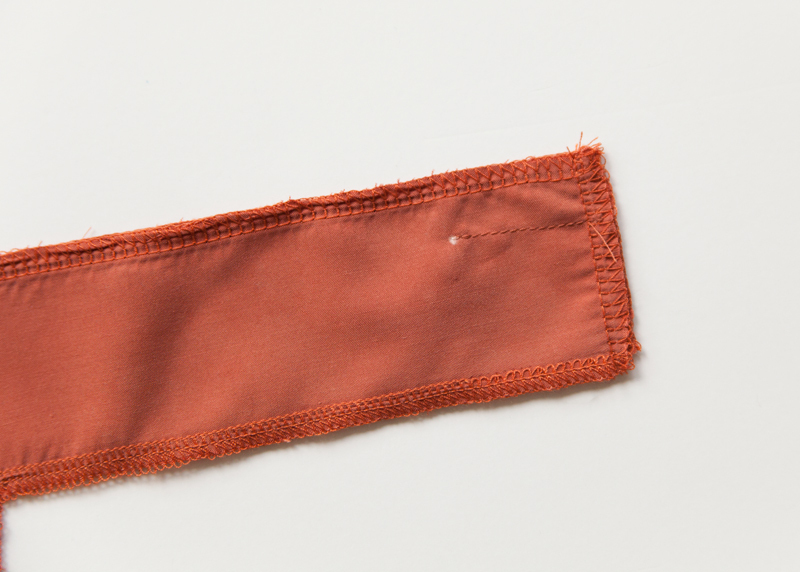 4) Clip through the seam allowance at the circle, to the stitch line. 5) Press the seam allowances open. 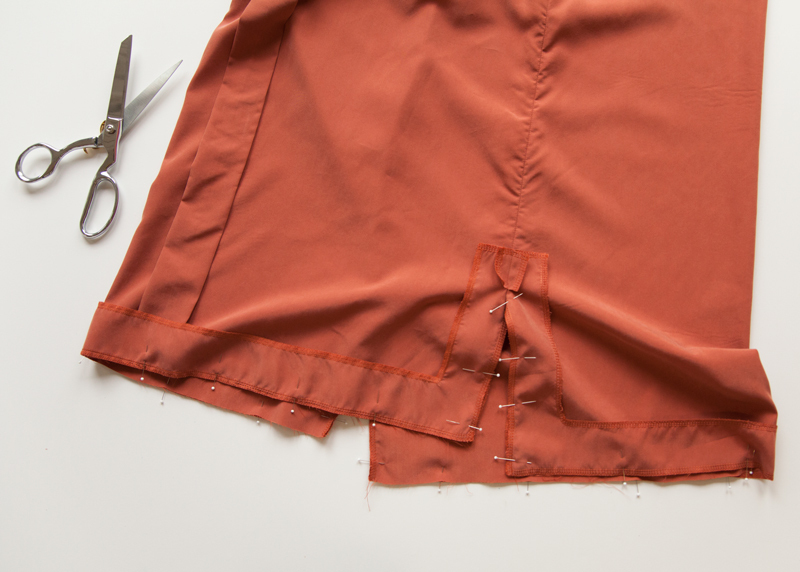 1) With right sides together and notches and side seams aligned, match the hem facing unit to the hem. Pin. Stitch. 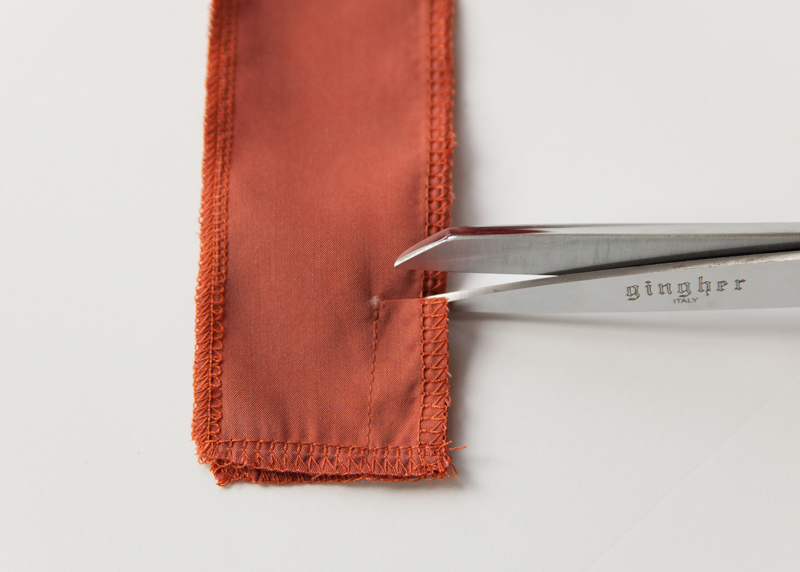 2) Trim and grade the seam allowances. Clip the corners. 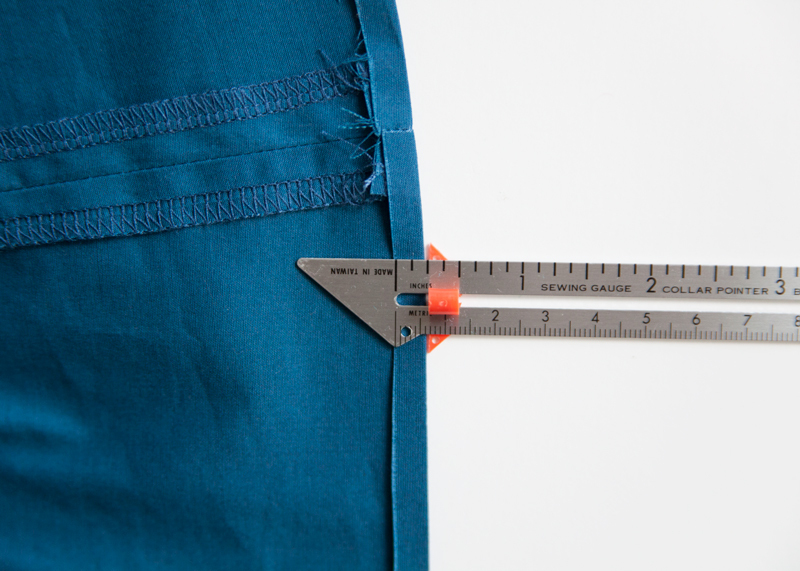 3) Edgestitch along the hem facing unit, catching the seam allowances underneath. You will not be able to stitch all the way up to the circles, but get as close as you can. 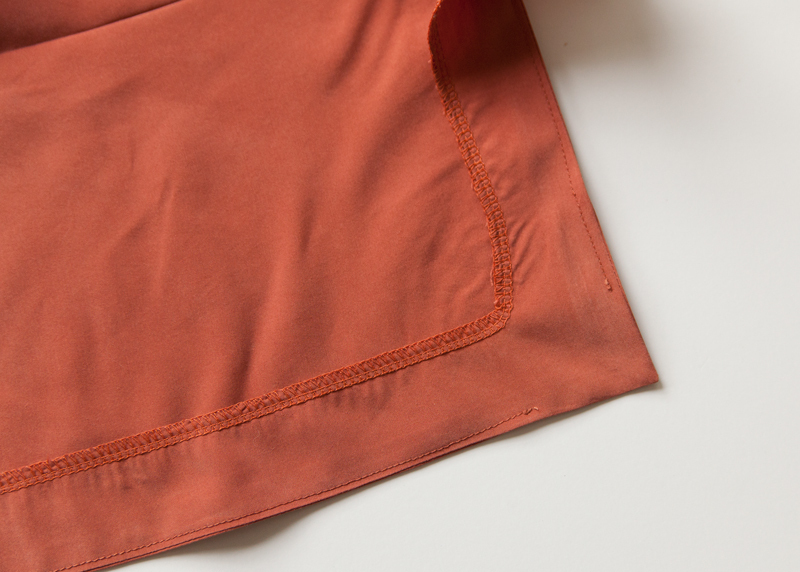 4) Fold the hem facing unit to the inside of the shirt. You may need a point turner for the corners. Press. 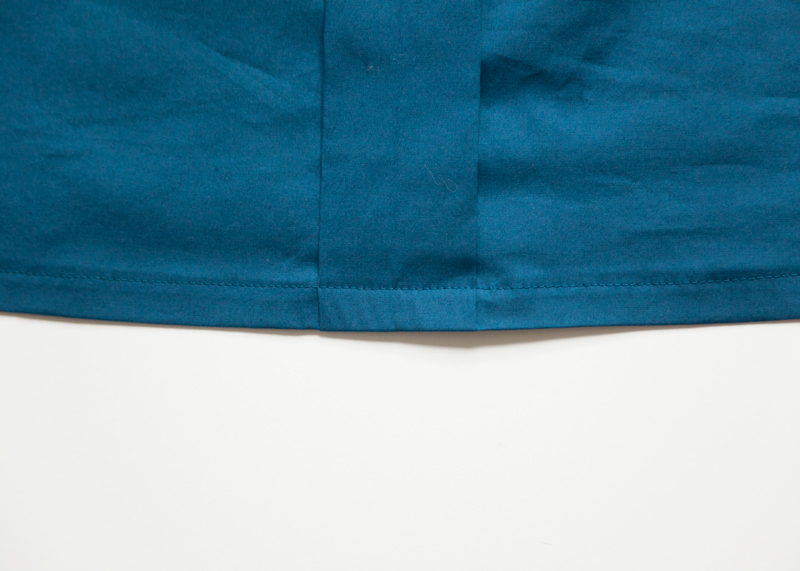 5) Topstitch along the top edge of the hem facing unit, through all layers. Press. We hope you have enjoyed the New Sorbetto sewalong! We would absolutely love to see what you’ve made. We’ve pushed back the date for our parade post to April 14th in order to give you all plenty of time to get your New Sorbettos finished! Enter The New Sorbetto Contest! 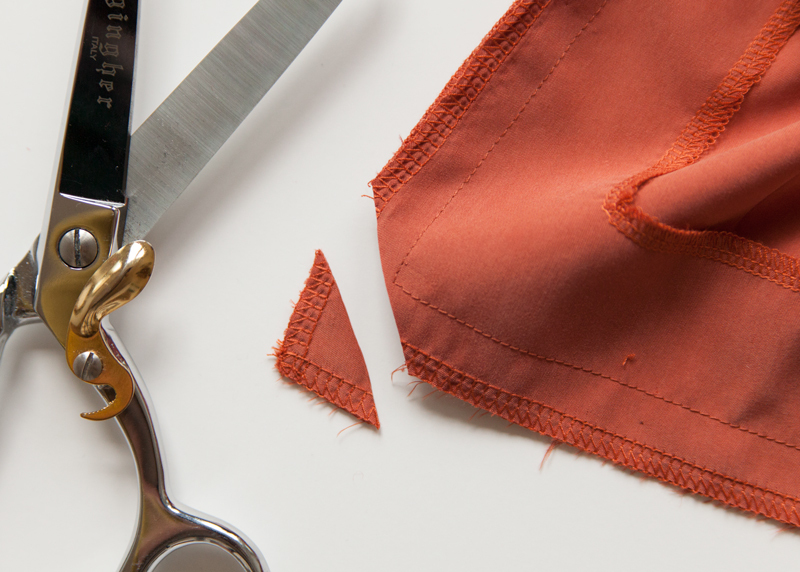 The winner will get a handpicked bag of sewing goodies and a $50 gift certificate to the Colette shop. Post and tag your finished #colettesorbetto on Instagram by April 6th at noon PST. We’ll pick 3 finalists and you’ll vote for the winner! Upload to your blog or any other platform and add a link in the comments! We’ll round up our favorites in the final parade post. We can’t wait to see what you’ve made! I’ve made two: https://suzeesews.wordpress.com/2017/04/03/iridescent-green-sorbetto/ and https://suzeesews.wordpress.com/2017/03/27/nothin-much-you/ (this pattern also got me blogging!) :) Thanks for a great sewalong. I already have plans to make the tunic version next, and am working on Weston shorts to wear along with my new tops. Aw, Susan! Your Sorbettos are so beautiful! I love your take on the center front pleat. Love them! And the fabric choices are lovely. Thank you Erin, I hope your Sorbetto is coming along nicely! Thank you ladies, I learned a lot and enjoyed every step of the sew along. My Sorbetto went together like a dream. This is my first sew along but I am looking forward to joining another soon. My finished Sorbetto is posted on #colettesorbetto. Thank you so much for this. It was my first time with a sewalong, & also using a PDF pattern, & I’ve found it all very useful. I made version 2 with a few adjustments (I raised the bust darts – thank you, Haley Glenn! – & also lowered the neckline a little) & am very pleased with the fit. I used a beautiful cotton lawn fabric (Japanese Songbird) from Guthri & Ghani that gives a lovely soft drape. My completed top is posted on Instagram & Twitter at #colettesorbetto. I’m definitely going to try the other versions now! Thank you! 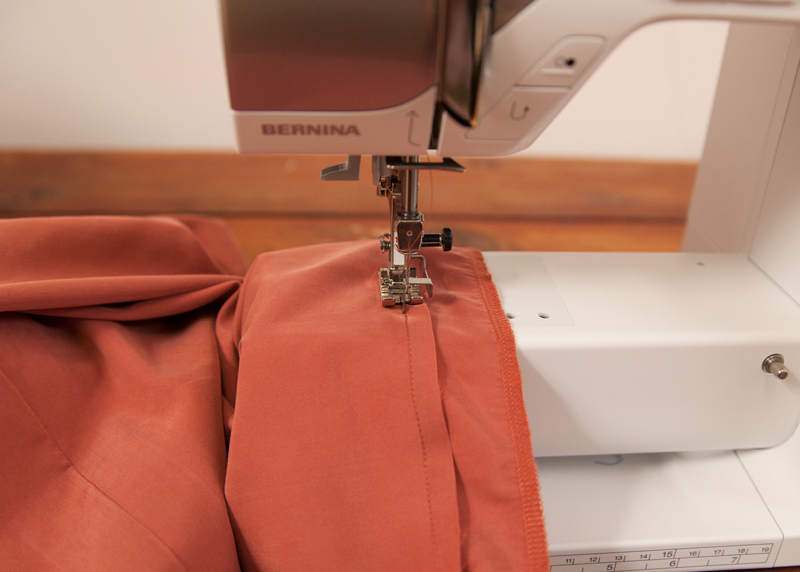 How do you finish the inner edge of the facing on your serger with the 90 degree turns? I imagine it’s hard to maneuver the fabric to keep the blade from slicing it. Here is my blog post about my latest Sorbettos! Thanks for making a new pattern with sleeves and for putting a sew-a-long together for it!